Recommended by the major travel guide books! The so-called "Eagle's Nest" was built as a 50th birthday present to Adolf Hitler. Join us for a detailed historical account of the construction and use of the Eagle's Nest, a unique mountaintop conference center, as well as for a driving tour of the Obersalzberg area, the site of Hitler's former residence and second seat of power. 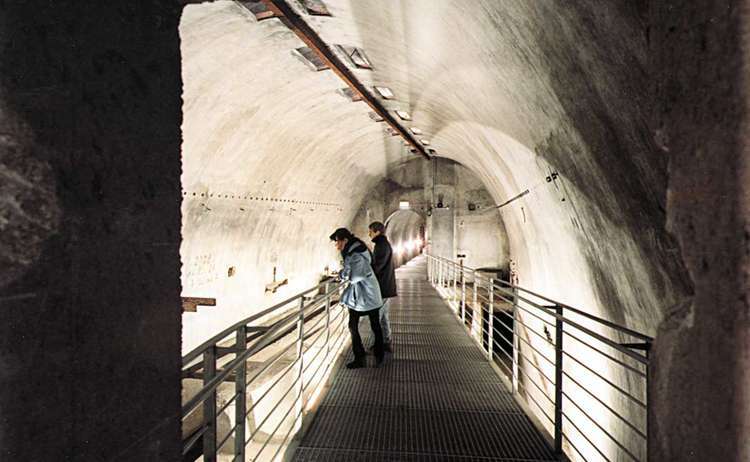 A visit to the underground bunker system gives an idea of the monumental scale of the former headquarters compound in the German Alps. Starting with a brief account of Hitler's life, the bus takes you up steep mountain roads to Obersalzberg, a tiny community above Berchtesgaden. Here the history of Obersalzberg's takeover by the Nazi Party and Martin Bormann's transformation of the mountain into Hitler's Southern Headquarters will be told. During the driving tour you will view some original Third Reich buildings dating back to when the area was Hitler's second seat of government. Within the former compound, you'll catch glimpses of buildings that were used as Albert Speer's home, Speer's architectural studio, Martin Bormann's model farm, Nazi Party headquarters, the Platterhof's theater, SS-Officers' housing, Göring's adjutancy, State Security Service headquarters and the location of Hitler's home, the Berghof, (no longer standing today). 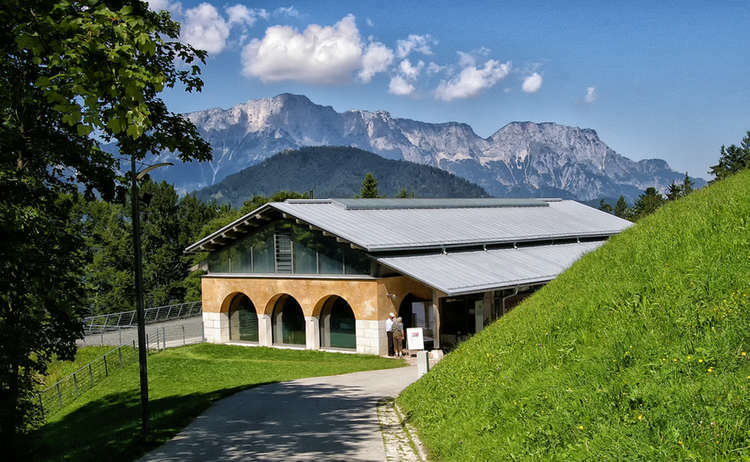 The description of Obersalzberg and the historic importance of Hitler's Berghof in world history will be made easy to understand with the use of original photographs and a model of the compound's main buildings. 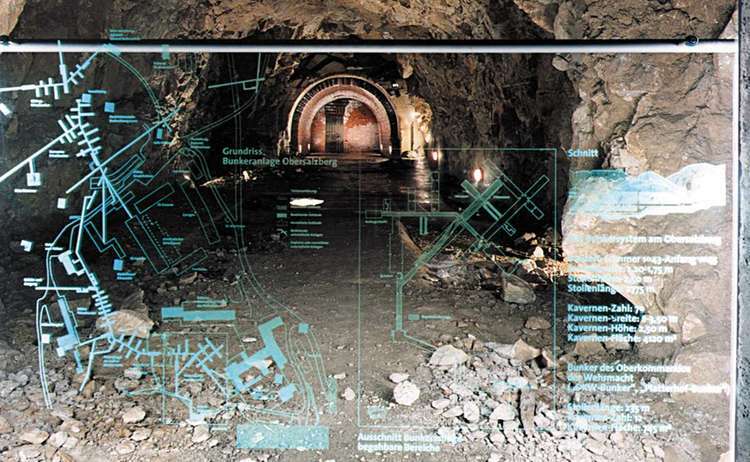 At Obersalzberg, you will also be shown one of the unterground bunker complexes below the mountain. The extensive fortress-like system was built as an air raid shelter, as war headquarters and as a possible last refuge for the leaders of the Reich. You will then board a specially equipped mountain bus for a breathtaking drive up the 6.5 km (4 mile) road on the edge of the cliff; leading up a 27% incline to a high mountain parking lot, just below the Eagle's Nest. The original brass-lined elevator will then transport you up through the heart of Kehlstein mountain straight into the building itself. 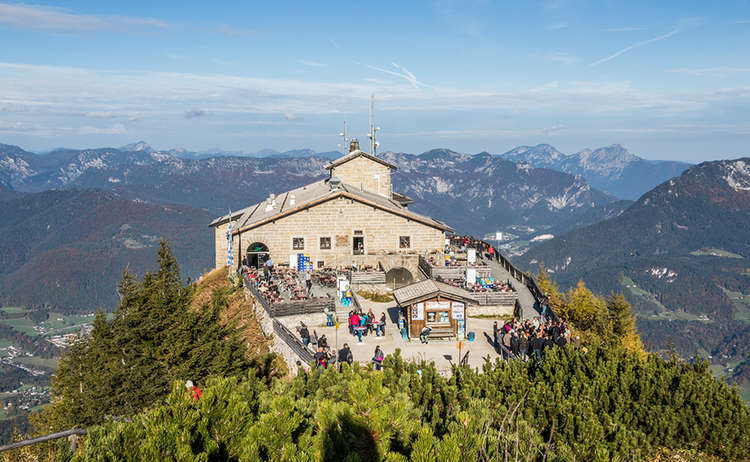 Perched up at 1834m (6017ft) the Eagle's Nest and the road network leading to it were considered feats of engineering Constructed as a 50th birthday gift for Adolf Hitler, the diplomatic teahouse construction details and history will be told in detailed during the guided tour. On the trip back to the starting point in Berchtesgaden, the tour guide will recount the demise of the high Nazi leaders who once made Obersalzberg their alpine redoubt. What's so special about this tour? Ours is the original and authoritative tour of the Eagle's Nest, Obersalzberg and Bunker System. It is conducted by professional guides whose mother tongue is English. This tour has been recommended by The New York Times, Lonely Planet Guides, Frommer's Guides, Fodor's Guides, Rick Steve's Guides, Europe by Eurail Guides, Let's Go Guides, the Rough Guides, German Life Magazine and numerous travel magazines and travel specialists. 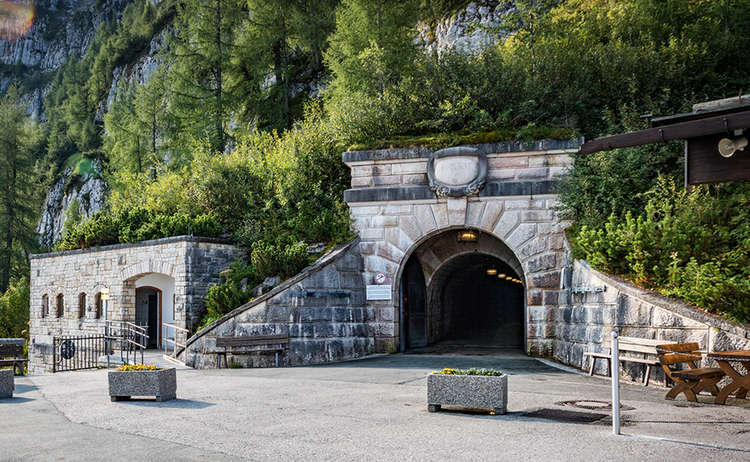 It is conducted daily from mid-May through October (provided the Eagle's Nest is open) in an objective and comprehensive manner, making the history of the former Nazi headquarters easily understandable to all. Reservations required. Our office is located in the visitors center, (Tourist-Information Berchtesgaden-Königssee) opposite Berchtesgaden's station (Königsseerstr. 2, 83471 Berchtesgaden).